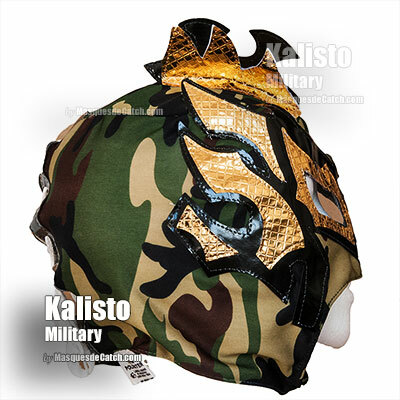 from 6 to 14 years old - Silk and Camouflage Aspect. 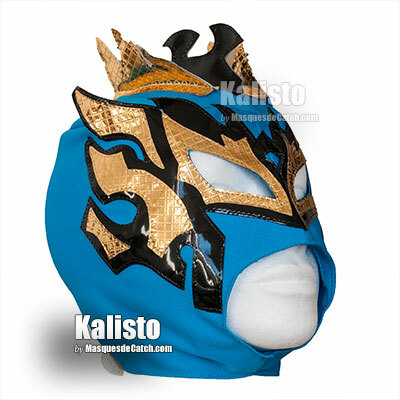 Another great legend of the Mexican Lucha Libre and WWE after Rey Mysterio. 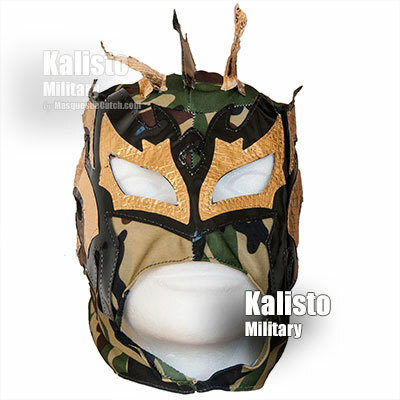 Kalisto has just entered the WWE Cruserweight division, so he participated in his first major show in this league at WWE "205 Live" on October 3, 2017. 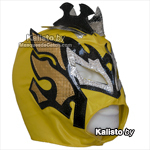 Kalisto is also very often associated with the duo of Lucha Dragons (Dragons of the Wrestling). 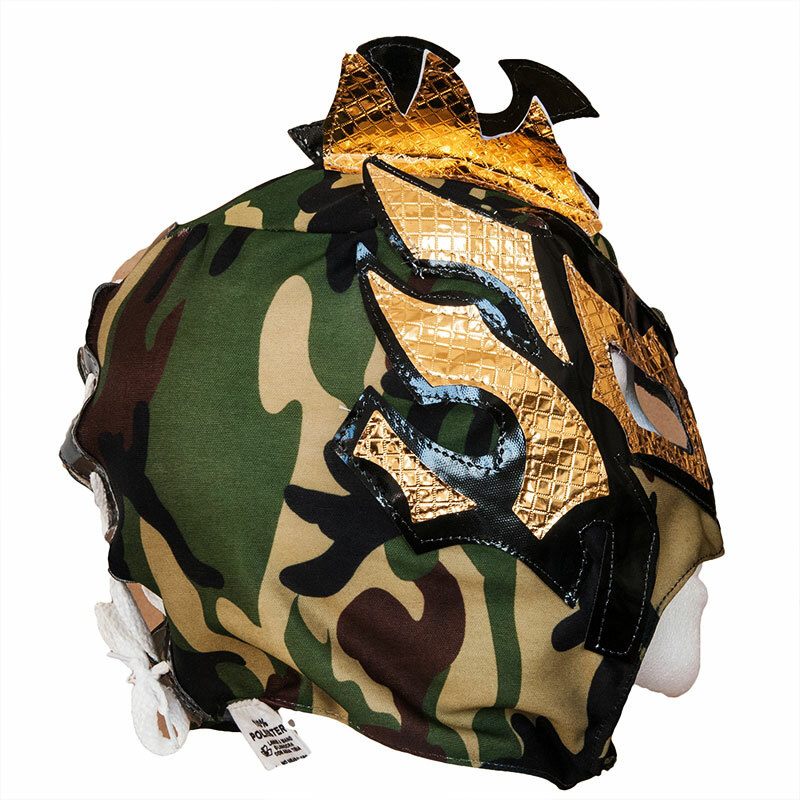 The Lucha Dragons is a duo made up of the two star wrestlers of Mexican origin Kalisto and Sin Cara. 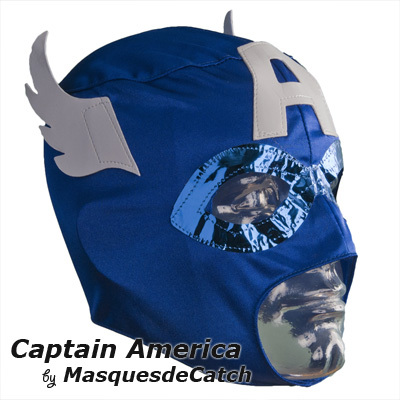 • Mask for disguise, ideal for an evening, a jog or a gift. 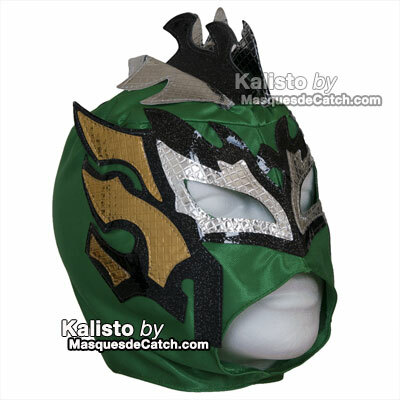 • Mask made in Mexico (premium quality product). 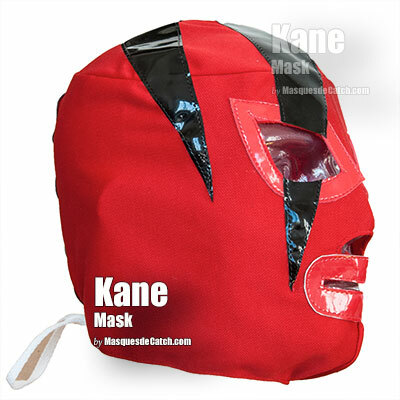 • The mask has a rear closure with a lace for adjustment. 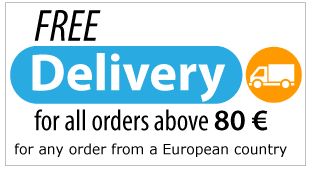 • Made in Mexico according to the rules of the art (excellent quality). Wrestling should be practiced in good conditions! 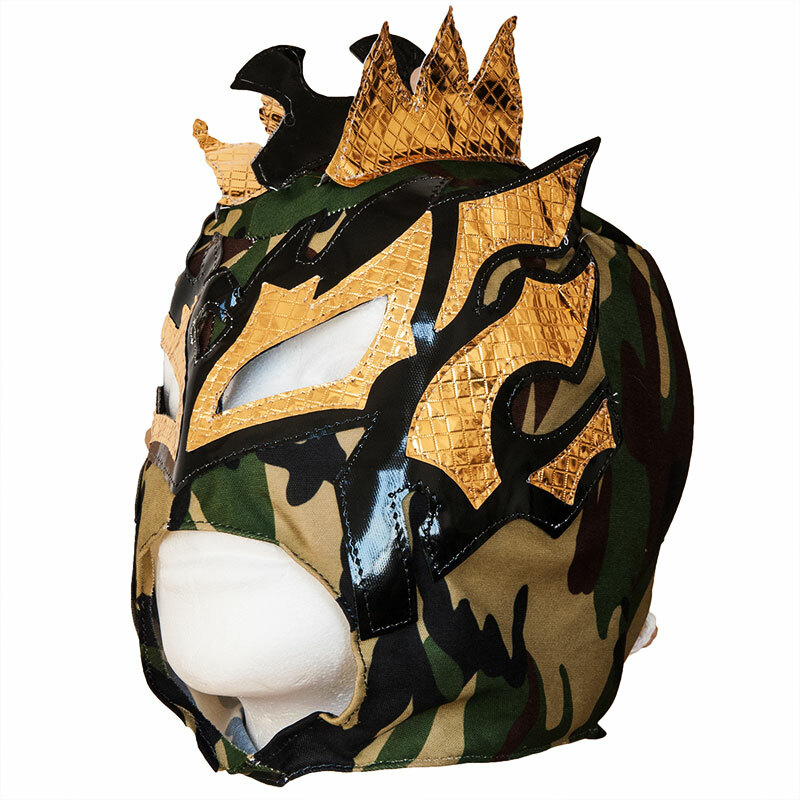 This Wrestling Mask is designed to disguise. 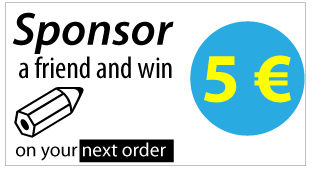 Our children's masks are standard size (fits all) that is suitable for a child from 6 to 14 years (head circumference of 52 cm to 56 cm..). 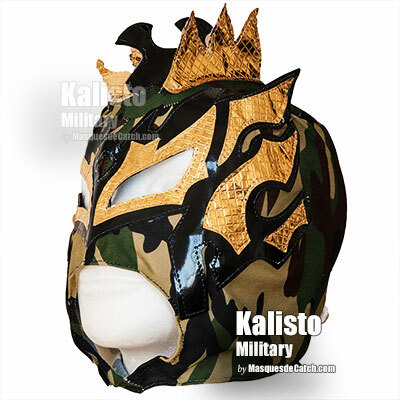 This Kalisto mask is perfect for a gift for a disguise party, carnival, halloween for, etc. It will allow you to stand out. Wrestling should be practiced in good conditions! If you are a wrestling fan then we suggest you to see our "wrestling schools." 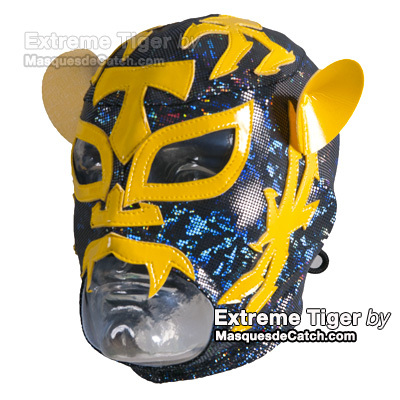 Leave us your feedback and tell us situ love this mask? 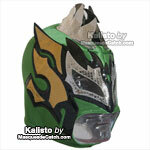 Not forget to visit our catalog, MaskedWrestlers.com with more than 30 different designs of Mexican wrestlers masks.